Bruce Webb obtained his BSc in Geography and Geology and PhD in Geography at the University of Exeter. He has spent his subsequent academic career at Exeter, where he held the positions of Lecturer, Senior Lecturer and Reader in Physical Geography, before being made Professor of Physical Geography in 1998. He was awarded a DSc from Exeter University in January 2008 for his research on Water Quality of Stream and River Systems. He won the British Association for the Advancement of Science Lyell Lectureship in 1990. He has served as the UK National Correspondent to the International Association of Hydrological Sciences (IAHS) for Water Quality and is a past Secretary and past President of the IAHS International Commission on Water Quality. Bruce has also been the Secretary and the President of the British Hydrological Society, and is a former Treasurer of the British Geomorphological Research Group (now the British Society for Geomorphology). Bruce is a former Assistant Editor of the International Journal Hydrological Sciences Journal and was Editor of Geoscience in South-West England, the Journal of the Ussher Society from 2012 to 2015. Bruce retired in 2011 and was made an Emeritus Professor of the University. Bruce’s research interests lie primarily in the field of water quality with a particular focus on the thermal behaviour of stream and river systems, but he also studies sediments, particulate-associated substances and nutrients and general chemistry in rivers. Methodologically, much of Bruce’s work involves detailed field investigations of the physical processes controlling water quality, and long-term monitoring of river systems. He is interested in the impact of climate and land-use change on water quality and in the implications of changing conditions for stream ecology. Topics addressed by this work include long-term changes in the thermal regime of regime of European rivers in relation to past and future climate change and to human impacts through river regulation, forestry practices and heated effluent discharges; energy budgets of streams and rivers; effects of global warming on freshwater fish and invertebrates; present and future fine sediment budgets of river systems; methods for estimating fluvial fluxes of sediments and chemical substances; and evaluation of the role of fine sediment in river nutrient transport. 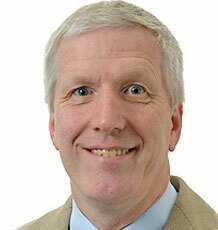 Bruce is the author and editor of over 140 books, journal articles and research reports. Currently, Bruce's interests are focussed on the Physical Geography of South-West England. Doglioni A, Giustolisi O, Savic DA, Webb BW (2008). An investigation on stream temperature analysis based on evolutionary computing. HYDROL PROCESS, 22(3), 315-326. The data-driven technique, evolutionary polynomial regression, has been tested and used for the study of water temperature behaviour in the River Barle (south-west England). The study aimed to produce multiple models for forecasting water temperature, using air temperature as input. In addition, river discharge data were used to describe the hydrological regime of the study stream, even if they are not involved in the modelling phase. The availability of data sampled at hourly intervals allowed behaviour to be studied at several time scales, including short-term lags between air temperature and water temperature. The approach to model building differs front previous studies in that the relationship between air temperature and water temperature is not evaluated on the basis of a multi-parameter regression, nor does it identify particular Structures; rather the evolutionary technique identifies the model by itself. In fact, the non-linear relationship between air temperature and water temperature is investigated by an evolutionary search in the space of particular pseudo-polynomials structures. Copyright (c) 2007 John Wiley & Sons, Ltd.
Webb BW, Hannah DM, Moore RD, Brown LE, Nobilis F (2008). Recent advances in stream and river temperature research. HYDROLOGICAL PROCESSES, 22(7), 902-918. Research on stream and river temperatures is reviewed with particular attention being given to advances in understanding gained since 1990 and on investigations of fundamental controls on thermal behaviour, thermal heterogeneity at different spatial scales, the influence of human impacts and the nature of past and future trends. Copyright (C) 2008 John Wiley & Sons, Ltd.
Webb BW, Crisp, D.T. (In Press). Afforestation and stream temperature in a temperate maritime environment. Hydrological Processes, 20, 51-66. Arnott S, Hilton J, Webb BW (2009). The impact of geological control on flow accretion in lowland permeable catchments. HYDROLOGY RESEARCH, 40(6), 533-543. Author URL. Hannah DM, Webb BW, Nobilis F (2008). River and stream temperature: dynamics, processes, models and implications - Preface. HYDROL PROCESS, 22(7), 899-901. Giustolisi O, Doglioni A, Savic DA, Webb BW (2007). A multi-model approach to analysis of environmental phenomena. ENVIRONMENTAL MODELLING & SOFTWARE, 22(5), 674-682. A data-driven methodology named Evolutionary Polynomial Regression is introduced. EPR permits the symbolic and multi-purpose modelling of physical phenomena, through the simultaneous solution of a number of models. Multi-purpose modelling or "multi-modelling" enables the user to make a different choice according to what the model is aiming at: (a) the scientific knowledge based on data modelling, (b) on-line and off-line forecasting, (c) data augmentation (i.e. infilling of missing data in time series) and so on. This allows a more robust model selection phase. A case study based on the application of Evolutionary Polynomial Regression to the study of the thermal behaviour of a stream is presented. (c) 2006 Elsevier Ltd. All rights reserved. Webb BW, Nobilis F (2007). Long-term changes in river temperature and the influence of climatic and hydrological factors. Hydrological Sciences Journal/Journal des Sciences Hydrologiques, 52(1), 74-85. Webb BW, Zhang Y (2004). Intra-annual variability in the non-advective heat energy budget of Devon streams and rivers. Hydrological Processes, 18(11), 2117-2146. Pöckl M, Webb BW, Sutcliffe DW (2003). Life history and reproductive capacity of Gammarus fossarum and G. roeseli (Crustacea: Amphipoda) under naturally fluctuating water temperatures: a simulation study. Freshwater Biology, 48(1), 53-66. Webb BW, Clack PD, Walling DE (2003). Water-air temperature relationships in a Devon river system and the role of flow. HYDROL PROCESS, 17(15), 3069-3084. The nature of the water-air temperature relationship, and its moderation by discharge, were investigated for catchments ranging in size from 2.1 to 601 km(2) in the Exe basin, Devon, UK and for data relating to hourly, daily and weekly time bases. The sensitivity and explanatory power of simple water-air temperature regression models based on hourly data were improved by incorporation of a lag, which increased with catchment size, although relationships became more sensitive and less scattered as the time base of data increased from hourly to weekly mean values. Significant departures from linearity in water-air temperature relationships were evident for hourly, but not for daily mean or weekly mean, data. A clear tendency for relationships between water and air temperatures to be stronger and more sensitive for flows below median levels was apparent, and multiple regression analysis also revealed water temperature to be inversely related to discharge for all catchments and time-scales. However, discharge had a greater impact in accounting for water temperature variation at shorter time-scales and in larger catchments. Copyright (C) 2003 John Wiley Sons, Ltd.
Webb BW, Phillips JM, Walling DE (2000). A new approach to deriving 'best-estimate' chemical fluxes for rivers draining the LOIS study area. Sci Total Environ, 251-252, 45-54. A central objective of the LOIS Community Research Programme was to provide estimates of the land-ocean flux of chemical species from the LOIS study area. In the absence of detailed information on the concentration of most of the dissolved and particulate-associated chemical constituents, it has proved necessary to make use of the relatively infrequent samples collected in the UK Harmonised Monitoring Scheme, in order to estimate chemical fluxes for the LOIS rivers. In these circumstances, standard procedures may provide unreliable results, and a new approach has been developed to derive improved estimates of chemical flux from the LOIS study area. This approach is based on the generation of detailed synthetic time series of concentration, which are used to estimate the likely errors associated with different flux calculation procedures, especially those resulting from differences in the timing of chemographs and hydrographs during storm events. The approach was applied on a river by river and determinand by determinand basis to identify and to employ the best methods for computing fluxes of 45 chemical determinands from the LOIS study area during the period 1992-1996. Phillips JM, Webb BW, Walling DE, Leeks GJL (1999). Estimating the suspended sediment loads of rivers in the LOIS study area using infrequent samples. HYDROL PROCESS, 13(7), 1035-1050. A central objective of the LOIS Community Research Programme is to provide estimates of the land-ocean flux of suspended sediment from the LOIS study area. While high frequency (15-minute interval) suspended sediment concentration data are recorded within the programme at six tidal limit sites, infrequent (weekly-monthly) sampling undertaken by the Harmonized Monitoring (HM) Programme provides additional concentration data for 23 tidal limit sites in the LOIS study area. In order that these infrequent data can be used to generate sediment flux estimates, the accuracy and precision of 22 load estimation procedures are assessed in the context of sampling frequency (weekly, fortnightly and monthly) and basin scales representative of the LOIS study area. Sampling frequency is demonstrated to exert a significant influence on the precision of the individual procedures, with precision being inversely related to sampling frequency. Accuracy is less clearly influenced by sampling frequency, although different procedures were identified as being the most accurate at the three sampling frequencies. Basin scale is shown to exert a significant influence upon accuracy and precision, with the performance of the load estimation procedures being inversely related to basin scale. For one interpolation procedure, an error correction procedure is developed, based on the strong relationship identified in this study between the error associated with individual flux estimates and the ratio of mean sampled discharge to the mean discharge obtained from the high frequency record. This relatively high resolution error correction method is applied to HM data from eight tidal limit sites in the LOIS area, and corrects the initial annual load estimates to provide values that are considered to be more representative of rivers from the LOIS study area. Copyright (C) 1999 John Wiley & Sons, Ltd.
Clark E, Webb BW, Ladle M (1999). Microthermal gradients and ecological implications in Dorset rivers. HYDROL PROCESS, 13(3), 423-438. Microthermal gradients, involving significant variations in temperature over distances of a few centimetres to a few metres, were investigated in the water column and substratum of the River Frome and Bere Stream in Dorset, UK, which are groundwater dominated streams fed by chalk aquifers. In many of the sections surveyed, strong lateral contrasts of up to c. 7 degrees C were evident as a consequence of solar heating of shallow channel margin zones and thin surface layers isolated by floating vegetation from the main body of flow. Shading by instream, emergent and riparian vegetation, and by river banks also caused significant microthermal gradients in the water column. Detailed logging of temperatures in the substratum at selected sites revealed damping of variation with increasing depth below the bed surface, seasonal reversal in bed temperature gradients and considerable local variation in the substratum temperature profiles of a pool-riffle sequence. The latter did not conform to the pattern expected from advective heat transfer associated with downwelling of water at the riffle head and upwelling at the tail, and measurements of interstitial flow velocities and particle size suggested more complex flow circulation and heat transfer. There was some evidence that the microthermal gradients identified were of ecological significance. Copyright (C) 1999 John Wiley & Sons, Ltd.
Webb BW, Zhang Y (1999). Water temperatures and heat budgets in Dorset chalk water courses. HYDROL PROCESS, 13(3), 309-321. Field measurements have established the heat budgets for stations on two water courses which drain catchment areas dominated by the upper chalk in Dorset, UK. Information on the main advective and non-advective heat fluxes were collected during winter and summer periods in 1994 at a site near to a spring source on a tributary of the River Piddle, and at a station situated downstream on the River Bere. Inputs of heat energy were dominated by radiative fluxes, with net radiation receipt accounting on average for around 90% of the non-advective total in both summer and winter. Sensible heat (convective/conductive) transfer from the atmosphere was enhanced in the summer by the lower water temperature of these spring-fed streams, while relatively warm water temperatures during winter enhanced heat losses by evaporation, which was the dominant non-advective heat loss component in this season. Significant heat losses also occurred by sensible transfer and by back radiation. Summer measurements revealed that conduction of heat into the non-vegetated gravel bed of the River Piddle tributary was the dominant form of loss, but this output was strongly reduced in summer by weed cover on the bed of the River Bere, Considerable daily and diel variability was evident in non-advective heat flux components. Heat advected into the study reaches via precipitation was negligible, but groundwater inflows added to the heat storage of the water courses in both winter and summer. This effect was most marked at the headwater site and in the summer season because of lower streamflow discharge. Copyright 1999 John Wiley & Sons, Ltd.
Russell MA, Walling DE, Webb BW, Bearne R (1998). The composition of nutrient fluxes from contrasting UK river basins. HYDROL PROCESS, 12(9), 1461-1482. Accurate estimates of N and P loads were obtained for four contrasting UK river basins over a complete annual cycle. The fractionation of these loads into dissolved and particulate, and inorganic and organic components allowed a detailed examination of the nutrient load composition and of the factors influencing both the relative and absolute magnitude of these components. The particulate phosphorus (TPP) loads account for 26-75% of the annual total phosphorus (TP) transport and are predominantly inorganic. The inorganic (PIP) and organic (POP) fractions of the TPP loads represent 20-47% and 6-28% of the annual TP transport, respectively. In contrast, the particulate nitrogen loads (TPN) represent 8% or less of the annual total nitrogen (TN) loads and are predominately organic. For dissolved P transport, the dissolved inorganic fraction (DIP) is more important, representing 15-70% of the TP loads, whereas the dissolved organic fraction (DOP) represents only 3-9% of the TP loads. The TN loads are dominated by the dissolved component and more particularly the total oxidized fraction (TON), which is composed of nitrate and nitrite and represents 76-82% of the annual TN transport. The remaining dissolved N species, ammonium (NH4-N) and organic N (DON) account for 03-12% and 13-16% of the annual TN transport, respectively. The TPN and TPP fluxes closely reflect the suspended sediment dynamics of the study basins, which are in turn controlled by basin size and morphology. The dissolved inorganic nutrient fluxes are influenced by point source inputs to the study basins, especially for P, although the TON flux is primarily influenced by diffuse source contributions and the hydrological connectivity between the river and its catchment area. The dissolved organic fractions are closely related to the dissolved organic carbon (DOC) dynamics, which are in turn influenced by land use and basin size. The magnitude of the NH4-N fraction was dependent on the proximity of the monitoring station to point source discharges, because of rapid nitrification within the water column. However, during storm events, desorption from suspended sediment may be temporarily important. Both the magnitude and relative contribution of the different nutrient fractions exhibit significant seasonal variability in response to the hydrological regime, sediment mobilization, the degree of dilution of point source inputs and biological processes. (C) 1998 John Wiley & Sons, Ltd.
Webb BW, Walling DE (1997). Complex summer water temperature behaviour below a UK regulating reservoir. REGUL RIVER, 13(5), 463-477. Detailed monitoring over a 15-year period has revealed considerable complexity in summer water temperature behaviour below Wimbleball Lake, a large regulating reservoir in south-west England. Continuous records of water temperature in the regulated River Haddeo and the neighbouring unregulated River Pulham, coupled with information on flow in the tailbay of the dam and on the thermal structure of the impounded water body, reveal that the nature and extent of the thermal modification below the reservoir varies from day to day, month to month and year to year. This complexity largely reflects changes in the balance between a springflow and a direct reservoir release component of the compensation runoff, which arise in response to variations within and between summers in hydrometeorological conditions and in the way the reservoir is operated to regulate downstream flows. Temperature behaviour in the regulated river is made more complicated by progressive warming of the springflow during the summer months, the thermal inertia of the stored water, the development of thermal stratification within the reservoir and the alteration of release depth. although the detailed effect of some of these factors depends on weather conditions, the use of destratification equipment and the rapidity of reservoir drawdown. (C) 1997 John Wiley & Sons, Ltd.
Webb BW, Phillips JM, Walling DE, Littlewood IG, Watts CD, Leeks GJL (1997). Load estimation methodologies for British rivers and their relevance to the LOIS RACS(R) programme. SCI TOTAL ENVIRON, 194, 379-389. Data collected from rivers within the LOIS study area have been analysed to test the reliability of commonly-used interpolation and extrapolation methods for estimating loads from the concentration and flow records that are typically available for rivers in Eastern England. Detailed time series of suspended sediment concentration and discharge, which were collected by means of turbidity monitoring and ultrasonic flow gauging on the River Wharfe at Tadcaster over a 6-month period, have been used to compute a reference load. These data were then artificially decimated to evaluate different procedures for calculating suspended sediment loads. None of the methods investigated produced very reliable load estimates when weekly suspended sediment concentration data were used, and replicate estimates ranged from 24.4 to 550.1% of the reference load. Extrapolation by means of a simple rating relationship was found to produce estimates of suspended sediment load with the highest level of accuracy and precision, but loads calculated by this procedure still varied from -57.2% to +9.1% of the true value at the 95% level of confidence. Reduction in sampling frequency from weekly to fortnightly or monthly intervals generally caused a greater underestimation and increased imprecision in the suspended sediment load estimates. The effect of applying different calculation procedures to estimate chemical fluxes was evaluated using information from the Harmonized Monitoring database for the River Derwent at Church Wilne. For 20 out of the 36 determinands investigated, the difference between the minimum and maximum load estimate, expressed as a percentage of the minimum value, exceeded 50%, and for five determinands, including arsenic in both dissolved and particulate form, the difference was 100% or more. The results of this preliminary analysis suggest that considerable caution should be exercised in calculating river fluxes to the LOIS study coastline, and underscore the need for new and improved procedures to be developed. (C) 1997 Elsevier Science B.V.
Webb BW, Nobilis F (1997). Long-term perspective on the nature of the air-water temperature relationship: a case study. HYDROLOGICAL PROCESSES, 11(2), 137-147. Author URL. Webb BW, Zhang Y (1997). Spatial and seasonal variability in the components of the river heat budget. HYDROLOGICAL PROCESSES, 11(1), 79-101. Author URL. Webb BW, Walling DE (1996). Long-term variability in the thermal impact of river impoundment and regulation. APPLIED GEOGRAPHY, 16(3), 211-223. Author URL. Webb BW (1996). Trends in stream and river temperature. HYDROLOGICAL PROCESSES, 10(2), 205-226. Author URL. WEBB BW, NOBILIS F (1995). LONG-TERM WATER TEMPERATURE TRENDS IN AUSTRIAN RIVERS. HYDROLOGICAL SCIENCES JOURNAL-JOURNAL DES SCIENCES HYDROLOGIQUES, 40(1), 83-96. Author URL. WEBB BW, NOBILIS F (1994). WATER TEMPERATURE BEHAVIOR IN THE RIVER DANUBE DURING THE 20TH-CENTURY. HYDROBIOLOGIA, 291(2), 105-113. Author URL. WEBB BW, WALLING DE (1993). LONGER-TERM WATER TEMPERATURE BEHAVIOR IN AN UPLAND STREAM. HYDROLOGICAL PROCESSES, 7(1), 19-32. Author URL. WEBB BW, WALLING DE (1993). TEMPORAL VARIABILITY IN THE IMPACT OF RIVER REGULATION ON THERMAL REGIME AND SOME BIOLOGICAL IMPLICATIONS. FRESHWATER BIOLOGY, 29(1), 167-182. Author URL. WEBB BW, WALLING DE (1992). LONG-TERM WATER TEMPERATURE BEHAVIOR AND TRENDS IN a DEVON, UK, RIVER SYSTEM. HYDROLOGICAL SCIENCES JOURNAL-JOURNAL DES SCIENCES HYDROLOGIQUES, 37(6), 567-580. Author URL. WEBB BW, WALLING DE (1986). SPATIAL VARIATION OF WATER TEMPERATURE CHARACTERISTICS AND BEHAVIOR IN a DEVON RIVER SYSTEM. FRESHWATER BIOLOGY, 16(5), 585-608. Author URL. WALLING DE, WEBB BW (1985). ESTIMATING THE DISCHARGE OF CONTAMINANTS TO COASTAL WATERS BY RIVERS - SOME CAUTIONARY COMMENTS. MARINE POLLUTION BULLETIN, 16(12), 488-492. Author URL. WEBB BW, WALLING DE (1985). NITRATE BEHAVIOR IN STREAMFLOW FROM a GRASSLAND CATCHMENT IN DEVON, UK. WATER RESEARCH, 19(8), 1005-1016. Author URL. WEBB BW, WALLING DE (1985). TEMPORAL VARIATION OF RIVER WATER TEMPERATURES IN a DEVON RIVER SYSTEM. HYDROLOGICAL SCIENCES JOURNAL-JOURNAL DES SCIENCES HYDROLOGIQUES, 30(4), 449-464. Author URL. WEBB BW, WALLING DE (1984). NITRATE LEVELS IN DEVON CATCHMENTS. JOURNAL OF THE SCIENCE OF FOOD AND AGRICULTURE, 35(8), 851-852. Author URL. WALLING DE, WEBB BW (1983). GLOBAL PATTERNS OF EROSION - a CHANGING PERSPECTIVE. JOURNAL OF THE GEOLOGICAL SOCIETY, 140(MAR), 321-321. Author URL. WEBB BW (1983). SOLUTE LOADS AND CHEMICAL DENUDATION AT NATIONAL AND LOCAL-LEVELS. JOURNAL OF THE GEOLOGICAL SOCIETY, 140(MAR), 321-321. Author URL. WALLING DE, WEBB BW (1982). SEDIMENT AVAILABILITY AND THE PREDICTION OF STORM-PERIOD SEDIMENT YIELDS. HYDROLOGICAL SCIENCES JOURNAL-JOURNAL DES SCIENCES HYDROLOGIQUES, 27(2), 246-246. Author URL. WALLING DE, WEBB BW (1980). THE SPATIAL DIMENSION IN THE INTERPRETATION OF STREAM SOLUTE BEHAVIOR. JOURNAL OF HYDROLOGY, 47(1-2), 129-149. Author URL. WALLING DE, WEBB BW (1978). MAPPING SOLUTE LOADINGS IN AN AREA OF DEVON, ENGLAND. EARTH SURFACE PROCESSES AND LANDFORMS, 3(1), 85-99. Author URL. WALLING DE, WEBB BW (1975). SPATIAL VARIATION OF RIVER WATER-QUALITY - SURVEY OF RIVER EXE. TRANSACTIONS OF THE INSTITUTE OF BRITISH GEOGRAPHERS(65), 155-171. Author URL. Webb BW, Walsh AJ (2004). Changing UK river temperatures and their impact on fish populations. In Webb B, Acreman M, Maksimovic C, Smithers H, Kirby C (Eds.) Hydrology: Science and practice for the 21st century, Volume II (Proceedings of the British Hydrological Society International Conference, Imperial College, London, July 2004), British Hydrological Society, 177-191. Full text. Walling DE, Russell, Webb BW (2001). Controls on the nutrient content of suspended sediment transported by British rivers. Controls on the nutrient content of suspended sediment transported by British rivers. Walling DE, Webb BW, Russell MA (1997). Sediment-associated nutrient transport in UK rivers. Author URL. Walling DE, Webb BW (1996). Erosion and sediment yield: a global overview. Author URL. Webb BW, Walling DE, Zhang Y, Clark E (1996). Water temperature behaviour in South-West England. Author URL. Webb BW, Zhang Y, Nobilis F (1995). Scale-related water temperature behavior. Author URL. Webb BW, Walling DE (1995). The long-term thermal impact of reservoir operation and some ecological implications. Author URL. During his career at Exeter, Bruce taught undergraduate courses on Science and Physical Geography, Weathering and Slopes, Hillslope and Drainage Basin Geomorphology, Fluvial Systems and Fluvial Geomorphology, Coasts, Thermal Behaviour of Stream and River Systems, and Physical Geography of South-West England. He contributed lectures on sampling design and multivariate statistics to practical courses and convened a module on Physical Geography Practice, and he also took field classes to Devon, the Channel Islands, Wales, Spain and Austria. He also taught Water Quality on MSc programmes, and supevised more than twenty postgraduate students to successful completion of higher degrees. Bruce was External Examiner for various undergraduate programmes at Polytechnic Southwest (Plymouth Campus), La Sainte College (Southampton) and the Universities of Salford, Gloucestershire and Birmingham. He has examined higher degrees at the Universities of East Anglia, Manchester, Salford, Birmingham, Coventry, Loughborough, Pierre et Marie Currie (Paris), Tours, Singapore, New South Wales and the South Pacific. Bruce gained membership of the Institute for Learning and Teaching in Higher Education in 2000 and became a Fellow of the Higher Education Academy in 2007.